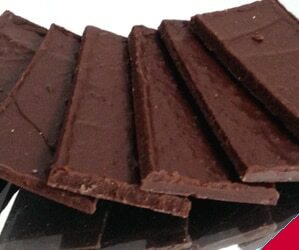 Our Mint Orange and Rose crisps wholesale chocolates are perfect for Petit Fours for restaurants and hotels. With a low per chocolate price they are particularly suitable for petit fours. Made from our delicious house blend 75% cocoa dark chocolate, infused with pure essential mint, rose and orange oil with a thin layer of Demerera sugar. In our signature blend 75% cocoa Raisetrade dark chocolate.